﻿ Conneaut Railroad Museum - Ohio. Find It Here. 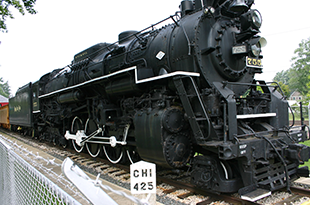 The Conneaut Railroad Museum offers an opportunity to learn about the rich railroading history in Conneaut and Ashtabula County. The museum includes an HO-Gage train display and historical documents and displays relating to railroading history. Climb aboard an authentic steam engine and caboose. Enjoy shopping in the well-stocked gift shop full of souvenirs and other items for railroad enthusiasts. Museum is open from Memorial Day through Labor Day. Handicap-access, easy parking, free admission.